Back in February, I took at look at the final issue of the first volume of the hit indie kids comic Princeless. Since then I have found myself craving another fix of Adrienne and all the other characters that make her world so interesting. For those of you late to the party I highly recommend going back and checking out my reviews for Princeless #1 #2 #3 and #4 as this is by far the most well written kids comic I’ve ever had the pleasure of experiencing. 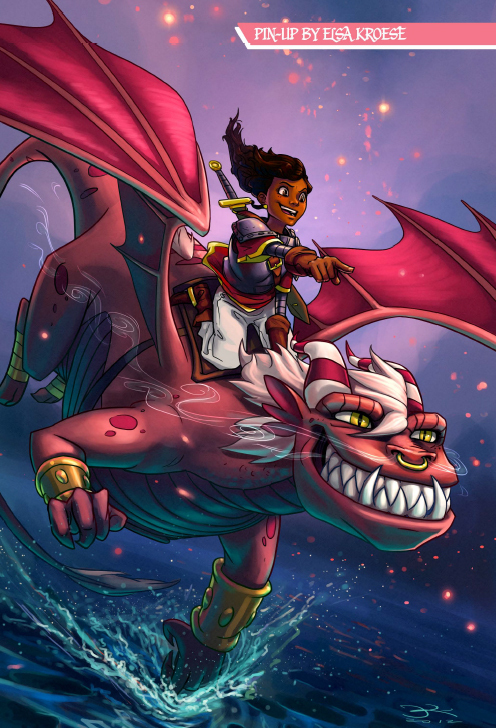 Princeless is truly a must own series for parents that want to pass on their love of comics, especially those parents with little girls looking for a series that features a strong positive female role model. 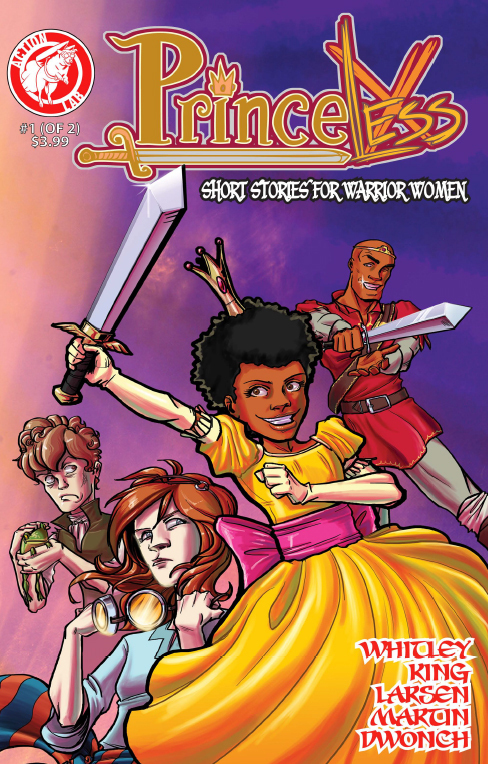 Princeless: Short Stories For Warrior Women, features two short stories, four pin-ups, and a special preview of the upcoming volume two of Princeless. Once again readers are treated to solid story telling and the series’ signature beautiful art direction that caused me to originally fall in love with the Princeless world. This is one of those books that can be enjoyed by both parents and kids, making it a real treat to sit down and share. Princeless is to comics as Shrek was to family cinema the highest quality in terms of all ages books. The first tale entitled “The Thing in the Dungeon” gives us a look at Adrienne’s life back when she was just a little girl play fighting with her brother Devin, much to the displeasure of her parents, as it is not how a princess should act. I highly enjoyed this story and the fact that it acts as a prequel to what occurs in the first issue of the series. As a huge fan of series that constantly feed their readers new chunks of backstory, I highly appreciated this story and the added depth that it adds to the already stellar story arc. Next we have a story that revolves around the High Prince of Ashland as he finds himself in hot water with his father the King, as he demands to know what events lead to the prince returning in such questionable condition. Readers are treated to an epic journey as the prince describes his day to his father. What starts as a challenge between a rival prince named Valmar to race through the infamous black forest quickly turns into quite the adventure. Overall, this is book is a great addition to the franchise that is sure to tide readers over until the launch of volume two. Not to mention the added bonus of four pin-ups from talented artists Elsa Kroese, Teressa Bowling, Laura Guzzo, and Janet Wade. Factor in the preview of Princeless volume two and you have yourself a complete package that is sure to cause fans of the series to salivate uncontrollably. I cannot recommend this series highly enough; even if you do not have kids these books are truly a great read and always a fun experience.